Christa was awarded the Ruth First Fellowship at Wits Journalism in 2010 and gave the Ruth First Memorial Lecture on the refugee crisis at the Central Methodist Church in Johannesburg, which led to her writing her first book Sanctuary: How an Inner-City Church Spilled onto a Sidewalk (Jacana 2013). 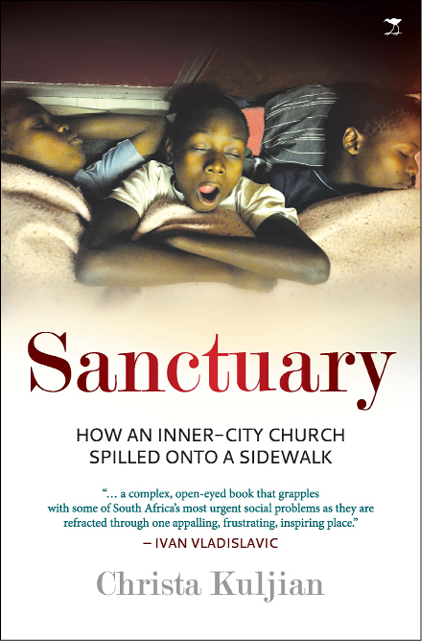 Sanctuary tells the stories of many of the people who found themselves at the church with nowhere else to go. The book explores the dynamics of migration, poverty, xenophobia and policing in inner-city Johannesburg.